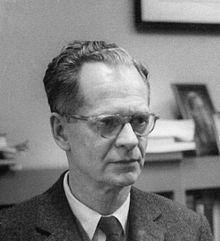 Burrhus Frederic Skinner (20 March 1904 – 18 August 1990) was an American behaviorist, author, inventor, baseball enthusiast, social philosopher and poet. It is the teacher's function to contrive conditions under which students learn. Their relevance to a future usefulness need not be obvious. Walden Two (1948), p. 95. Freedom and the control of men (1955/1956) American Scholar, 25 (1), 47-65. "New methods and new aims in teaching", in New Scientist, 22(392) (21 May 1964), pp.483-4. We shouldn't teach great books; we should teach a love of reading. Knowing the contents of a few works of literature is a trivial achievement. Being inclined to go on reading is a great achievement. As quoted in B. F. Skinner : The Man and His Ideas (1968) by Richard Isadore Evans, p. 73. Contingencies of Reinforcement: A Theoretical Analysis (1969). Ethical control may survive in small groups, but the control of the population as a whole must be delegated to specialists—to police, priests, owners, teachers, therapists, and so on, with their specialized reinforcers and their codified contingencies. Beyond Freedom and Dignity (1972). It is a mistake to suppose that the whole issue is how to free man. The issue is to improve the way in which he is controlled. Many instructional arrangements seem "contrived", but there is nothing wrong with that. It is the teacher's function to contrive conditions under which students learn. Their relevance to a future usefulness need not be obvious. It is a difficult assignment. The conditions the teacher arranges must be powerful enough to compete with those under which the student tends to behave in distracting ways. "Free and Happy Student" in The Phi Delta Kappan (September 1973); later published in Reflections on Behaviorism and Society (1978). I do not admire myself as a person. My successes do not override my shortcomings. As quoted in Meditations for Parents Who Do Too Much (1993) by Jonathon Lazear and Wendy Lazear, p. 5. As quoted in Performance-based Assessment for Middle and High School Physical Education (2002) by Jacalyn Lea Lund and Mary Fortman Kirk, p. 165. As quoted in "Unpacking the Skinner Box : Revisiting B. F. Skinner through a Postformal Lens" by Dana Salter in The Praeger Handbook of Education and Psychology Vol. 4 (2008) edited by Joe L. Kincheloe and Raymond A. Horn, Ch. 99, p. 872. Today behaviourists like Skinner imprison the very concept of man within the limits of what they conclude from their artificial tests with animals. Suppose that an engineer is presented with a device whose functioning he does not understand, and suppose that through experiment he can obtain information about input-output relations of this device. He would not hesitate, if rational, to construct a theory of the internal states of the device and to test it against further evidence. ... By objecting, a priori, to this research strategy, Skinner merely condemns his strange variety of “behavioral science” to continued ineptitude. Noam Chomsky, "The Case Against B. F. Skinner", The New York Review of Books, December 30, 1971. For practical or theoretical reasons, dictators, Organization Men and certain scientists are anxious to reduce the maddening diversity of men's natures to some kind of manageable uniformity. In the first flush of his Behaviouristic fervour, J.B. Watson roundly declared that he could find "no support for hereditary patterns of behaviour, nor for special abilities (music, art, etc.) which are supposed to run in families." And even today we find a distinguished psychologist, Professor B.F. Skinner of Harvard, insisting that, "as scientific explanation becomes more and more comprehensive, the contribution which may be claimed by the individual himself appears to approach zero. 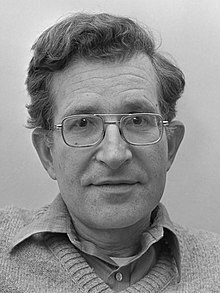 Man's vaunted creative powers, his achievements in art, science and morals, his capacity to choose and our right to hold him responsible for the consequences of his choice - none of these is conspicuous in the new scientific self-portrait. Alan Moore, in "Alan Moore Interview" by Matthew De Abaitua (1998), later published in Alan Moore: Conversations (2011) edited by Eric L. Berlatsky. There are occasions when a worthless, insignificant book acquires significance as a scrap of litmus paper exposing a culture's intellectual state. Such a book is Beyond Freedom and Dignity by B.F. Skinner…. The book itself is like Boris Karloff's embodiment of Frankenstein's monster: a corpse patched with nuts, bolts and screws from the junkyard of philosophy (Pragmatism, Social Darwinism, Positivism, Linguistic Analysis, with some nails by Hume, threads by Russell, and glue by the New York Post). The book's voice, like Karloff's, is an emission of inarticulate, moaning growls — directed at a special enemy: "Autonomous Man." Ayn Rand, The Ayn Rand Letter, Vol. 1, No. 8 (17 January 1972).